Please contact RAAB IMAGERY for prices and available print sizes. Every print purchased, will be detailed and hand signed. 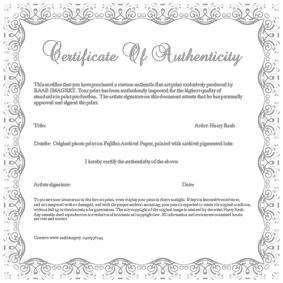 Prints are also registered at purchase and come with a Certificate of Authenticity, which is your guarantee of exclusivity. Images from this website will be printed on Fujiflex archival paper. Fujiflex is known in the industry for it's unsurpassed sharpness, colour saturation and longevity. * CURRENTLY THERE IS NO FRAMING SERVICE ON OFFER. Due to the delicate nature of such prints, it is advisable to have your framing organized with a professional service. Please contact RAAB IMAGERY for payment options. Please allow a printing and delivery time frame of approximately 2 to 3 weeks. The cost of postage is factored into the price of the prints. Any duties, taxes or import charges incurred at the point of entry to the customers country or jurisdiction are the responsibility of the customer and to be paid by the customer. All orders are packed in a secure insured cardboard tube. Any further information can be obtained by sending an email through the website.